The French car manufacturer plans to launch its vehicles before the end of 2021. Citroen’s entry into the Indian market is part of the strategy of the parent company PSA Group to reduce its dependence on sales in Europe, so Peugeot returns to North America and Opel expands to Russia. As part of this strategy, PSA is developing a range of low-cost vehicles for the international market, similar to Renault’s Global Access programme, with affordable models such as the Logan, which is sold under the Dacia or Renault brand depending on the region. «Citroen’s vehicles for India will be the first in the lower price range,» said CEO Linda Jackson in an interview with Automotive News Europe. «The models must be suitable and interesting for our Indian customers.” Small SUVs like the Renault Kwid are already successful in India, where buyers prefer hatchback or crossover design over a sedan. Market researchers and analysts of the Indian automotive market think it is possible that Citroen can be successful, but it has to focus on low volume and higher-priced models. To compete on the mass market with the already established brands will not lead to success. Chairman Jackson announced that Citroen would be distinguished by its design, local production, excellent quality and after-sales service. Citroen’s cars will be produced by two joint ventures founded by PSA and CK Birla Group in 2017. Hindustan Motor Financing Corporation is responsible for assembly and distribution. PSA plans an annual production of around 100,000 vehicles. The other company, PSA Avtec Powertrain, has recently started manufacturing engines and transmissions in a factory near Bangalore with an annual capacity of 300,000 engines and 200,000 transmissions. As part of the joint venture with CK Birla, PSA also secured the trademark rights for the Ambassador limousine. 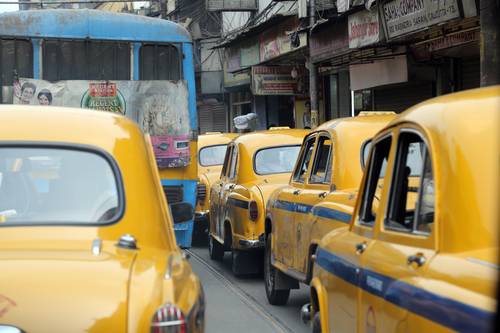 After decades of production, more than half a million Ambassadors, mostly taxis, are on India’s roads. Citroen and PSA are therefore also planning a new edition or reuse of the name Ambassador for their India strategy. Would you like to export your products to India? Automotive products must comply with the Indian Automotive Industry Standard (AIS) and undergo India certification (AIS certification). We will be happy to advise you.